Convinth Steading, a five reception, six-bedroom property, and the separate four-bedroom farmhouse, are both highly desirable country properties located within easy reach of Inverness and only six miles from Beauly. 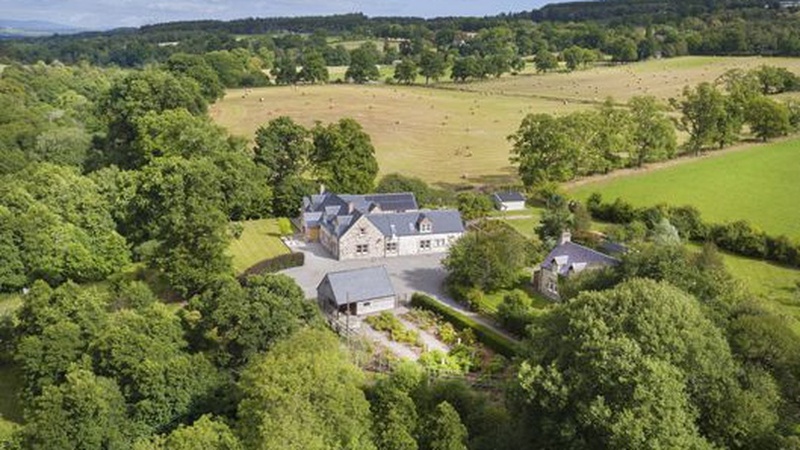 Both properties stand in lovely grounds extending in total to 8.54 acres. The steading has stood on the present site for hundreds of years and was painstakingly restored by the current owners in 1998-2001, comprising the main house and the south wing. It boasts a delightful courtyard garden, a rose garden with a charming oak barn adjacent and a productive apple orchard. The farmhouse was rebuilt in the early 1900’s, being previously located on the site of the current boiler house and was renovated in 1999. In medieval times, Convinth was a large parish, boasting a convent and many homesteads. Today, all that remains are the listed remnants of the convent, Convinth burial ground, the Old Smithy and Convinth farmhouse and the former farm steading. The sale of Convinth steading and farmhouse present a very exciting prospect for lifestyle buyers with the farmhouse currently being utilised as a rental property. Both properties have been completed to exceptionally high standards and are in a highly popular rural location. The steading was designed very much with entertaining in mind and it has been meticulously restored by the current owners to create a spacious, bright house offering generous, well-appointed accommodation. 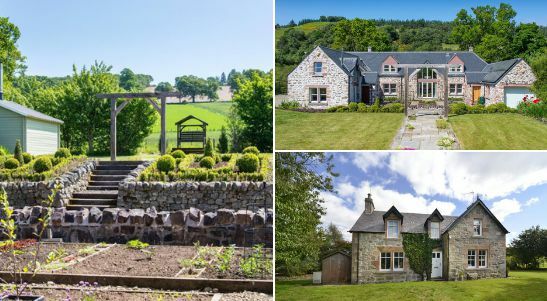 With oak doors, exposed wooden beams, Caithness stone and oak flooring and a bespoke handmade birch kitchen, it is a wonderful family home with views over the glen and the surrounding countryside. The buildings, and the surrounding grounds were formerly part of the Lovat Estate. The surrounding farmland was sold away from the houses and grounds in 1995. The whole area is defined by plantings of historic oak trees along roads and field boundaries, giving a peaceful rural outlook and the Belladrum burn runs through the setting, with its ancient alder trees providing a haven for wildlife through the seasons. Otters, Pine Martens and roe deer are regularly seen along with a huge variety of birds and in the spring, the bluebell wood running along the burn which forms part of the property, is a sight to savour. A highly desirable country property within easy reach of Inverness.